I can appreciate the use of non-actors and I would definitely use non-actors in a movie. The critical point being that through proper rehearsals and script readings, a director can find a non actor that can employ a part in any movie. The key is not only to look for that particular person who has the same demeanor as the character but also has the ability to read. In reading, I dont mean just reciting the words from a page that is written by another person, but what I mean by reading is how the script is read. The tone of the voice as it rises and falls when accentuating a point. The facial expression that is produced when emotion is felt, the movement of the eyebrows, the squinting of the eyes, the way the lips move when reciting the words and body movement. Robert Bresson referred to his actors as Models and preferred non professional actors because they offered certain grittiness to the scenes. The reality of ones own behavior is not perfect and has flaws that the same should be exhibited in movies. 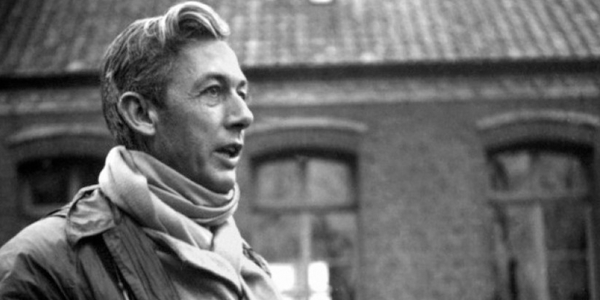 Robert Bresson believed that non professional actors possessed this characteristic that professionals did not have. Robert Bressons actors would not be a part of the set design but rather a complement to the set design. In contrast, German Expressionism utilized actors as part of the set designs. The actors would be one with the set and become part of the design element of the set. German Expressionism was due in part to low budgetary requirements because of limited funding. The resourcefulness that ensued would be the result of German Expressionism later to be known as Film Noir in America and used widely in todays modern horror movies.